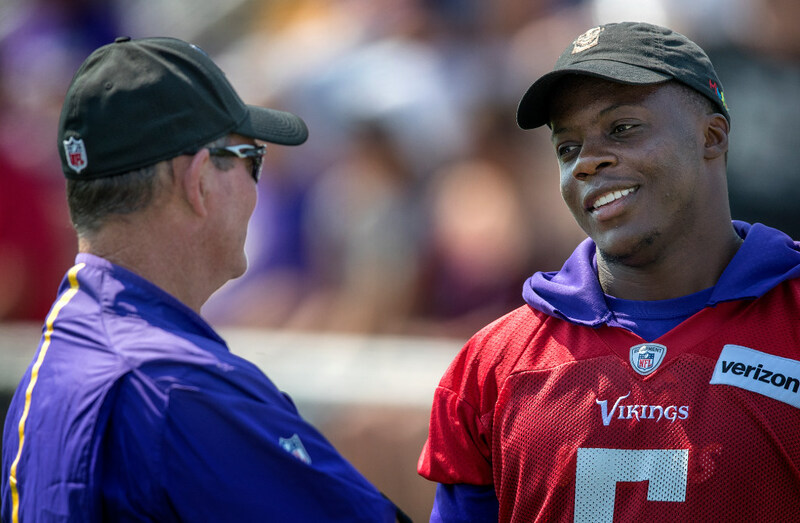 The Jets traded former Vikings QB Teddy Bridgewater to the Saints on Wednesday in a deal that made a certain amount of sense for both teams. New York received a third-round pick (and sent back a sixth-rounder along with Bridgewater), a nice haul for a player in whom the Jets had minimal investment. The Jets also cleared up a crowded QB picture in the process, with rookie Sam Darnold now reportedly slated to start while veteran Josh McCown backs him up. The motive for the Saints was more or less insurance. They obviously didn’t feel comfortable with Tom Savage as the primary backup to 39-year-old Drew Brees in a season where New Orleans has high hopes. Bridgewater is an upgrade, even if a third-round pick is a reasonably steep price to pay. With due respect to King and everyone else espousing a similar sentiment, I very much disagree. The best thing for Bridgewater this season is to play, and the best thing that could have happened to him — as crass as this sounds — is that a team would have lost its starting QB sometime during the preseason and the Jets would have traded Teddy to that team. That didn’t materialize, and the Jets clearly felt they couldn’t wait forever. They tried to maximize value as best they could, and they made a trade that was in their best interests. But it was far from Bridgewater’s best interests. Bridgewater’s last meaningful NFL action — I don’t count the 2016 preseason and I don’t count last year’s brief mop-up duty in which he threw two passes — was in the playoff loss to Seattle after the 2015 season. He’s now headed to a team that has a clearly established Hall of Fame starter who, even at age 39, has shown no signs of slowing down and who has missed exactly two starts in 12 seasons with the Saints. There is a very good chance Bridgewater, who turns 26 in November and should be entering the prime of his career, won’t see any meaningful action for a third consecutive season. I don’t have hard data on quarterbacks who have gone three full seasons in the middle of their careers without playing a meaningful down who have then gone on to do big things as a starter, but I can’t imagine there are many of them. This is different than a drafted QB sitting behind a starter as an understudy (as Aaron Rodgers did for three years in Green Bay behind Brett Favre). That was truly about development (and Favre’s continued comebacks). There were no questions about Rodgers’ health. Bridgewater needs to know where he stands, not continue to sit. Another year on the sidelines is the last thing he needs, but it’s probably what he’s going to get as a result of a win-win-lose trade.